Another University goes the route of kowtowing to the student PC police. Lawrence University founded in 1847 is located in the heart of my hometown-downtown Appleton, Wisconsin. It not only has an Ivy League look to it Lawrence U has been called the "Julliard of the Midwest." I love LU! I have spent many summers and weekends during my High School and older years in her Library, reading, researching and writing. BUT...sadly Lawrence University has gone the post-modern route of most Universities in America. When founded in 1847 LU's founders were Methodists ministers and it's education was predicated upon it's Biblical motto, VERITAS EST LUX, "Truth & Light" & "Light more Light! ", where the Light of God's wisdom as understood through the lens of Scriptures would enlighten the hearts of it's students. 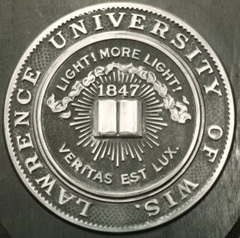 Through the influence of many anti-Christian philosophies from Marxism and Progressive-ism to multiculturalism and post-modernism darkness has covered over the once shining Light of Lawrence University. You could see this campus communism or fascism developing in the Sixties and Seventies when radical students declared, "Hey, Hey, Ho, Ho Western Civs got to go!" Gradually Western Civilization and American History courses were downplayed or transformed into politically correct platforms of Lefty indoctrination where Euro-Man was the bad guy while Afro-Man was origin of all things good. Today, the bizarre student-administration PC police demand "Safe-Spaces" from "Micro-Aggression" where Euro-Man is once again the bad guy and Minority-Person is the perpetual omni-vitimized group. It's sad and funny to see those good hearted liberal white students told by the minority "victims" to leave their "safe space" and then called upon again to join them in the cause when it suits their agenda. Lenin called such participants: "useful idiots." Now Lawrence University is giving in to the PC plague that permeates campi across America. "The school will shift resources to free two faculty members based in other departments to teach about Native culture and American Latino/Latina literature. Combined with the new tenure position, focused on contemporary African-American studies, these faculty changes will pave the way for the future expansion of the ethnic studies minor into a major." Hypocritically Lawrence University and these PC students insult us by bringing to Campus, on Martin Luther King Day, the Anglo hating, Jew hating, militant Black Panther turned Professor- Angela Davis.....Shame on them! Not only is Lawrence University proud to bring in Radical Dr. Davis, LU is excited to be presenting this week on campus the film 'Radicalized' which glorifies "the Los Angeles Occupy Anarchist Collective." In case you don't know the "anarchist collective" which fly's the Red & Black flags of anarchy and communism hates the United States of America and wants to transform our Republic under God into an atheistic utopic-paradise. 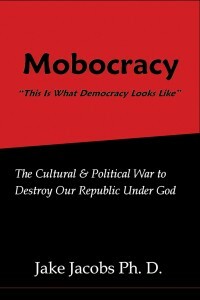 "The Cultural & Political War to Destroy Our Republic Under God."